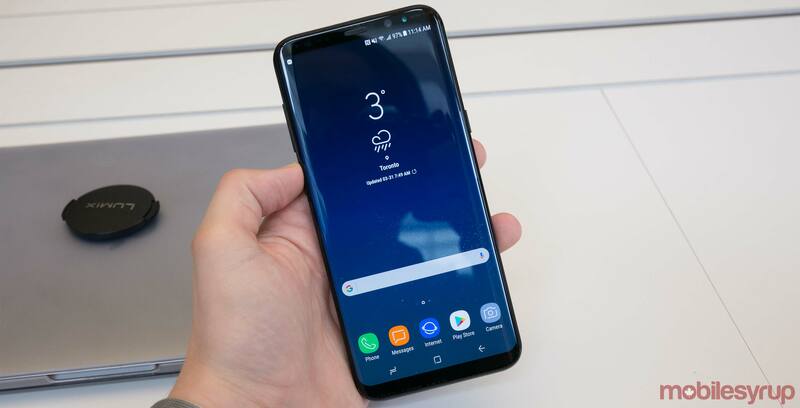 Just one week after it halted the rollout of Android 8.0 to the Galaxy S8 and S8+ due to a reboot glitch, Samsung has started to push a new version of Oreo to S8 devices. As before, the company’s public Oreo build is rolling out to unlocked S8 devices in Europe first. The company’s current S8 Oreo build is made up of two firmware versions: G950FXXU1CRB7 and G955XXU1CRB7. MobileSyrup has reached out to Samsung to find out when S8 owners in Canada can expect Oreo to land on their device. This article will be updated with a response from the company. In the meantime, it’s likely the update will make its way to Canada around the same time the company announces its new S9 flagships.